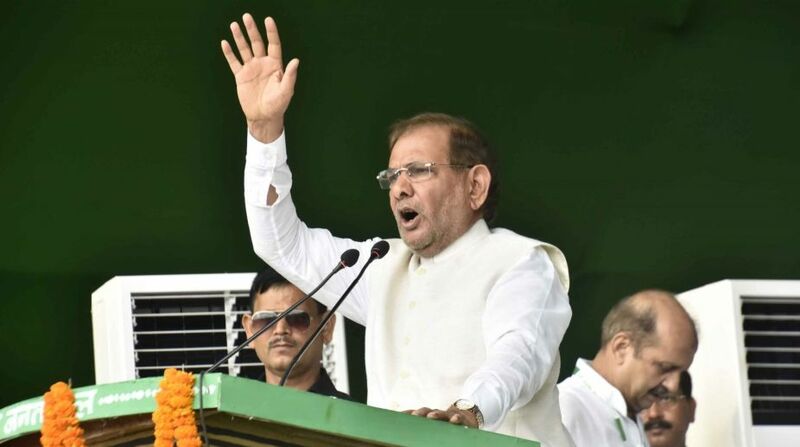 Taking cognizance of the petition submitted by the Nitish Kumar faction of the JD-U for disqualification of party leaders Sharad Yadav and Ali Anwar Ansari on grounds of defection, the Rajya Sabha Secretariat has issued show cause notice to the two leaders. The notice, issued on Wednesday, has asked the rebel Janata Dal United (JD-U) leaders to appear before the Rajya Sabha Chairman on October 30 in his chamber at Parliament to present their case. “In connection with the petition filed by R.C.P. Singh, member and leader of the JD-U party in Rajya Sabha, seeking your disqualification from the membership of the Rajya Sabha, the Chairman has decided… to afford you an opportunity to represent your case and to hear you in person before taking a decision in the matter,” the notice read. While Ansari is set to retire in April next year, Yadav’s term will end in 2022, if not disqualified. 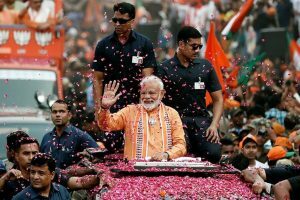 The two MPs had broken away from Bihar Chief Minister Nitish Kumar after he severed ties with coalition partner Rashtriya Janata Dal (RJD) and went to the Bharatiya Janata Party (BJP)-led National Democratic Alliance (NDA) fold in July this year. The JD-U then appealed to the Rajya Sabha Chairman M. Venkaiah Naidu to disqualify Sharad Yadav and Ali Anwar Ansari for allegedly indulging in anti-party activities and voluntarily quitting the party. Though such cases are usually first referred to the Privileges Committee for preliminary examination, Rajya Sabha Chairman M. Venkaiah Naidu, being the competent authority, has reportedly decided to dispose the case himself. As per the disqualification rules on ground of defection, “the Chairman may either proceed to determine the question or, if he is satisfied, having regard to the nature and circumstances of the case that it is necessary or expedient so to do, refer the petition to the Committee for making a preliminary inquiry and submitting a report to him”.